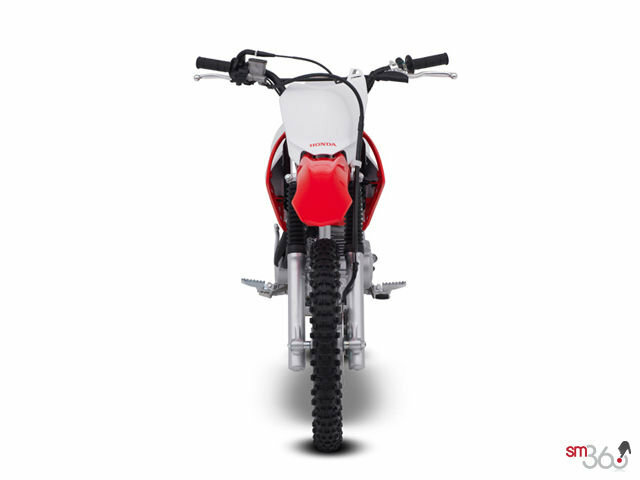 Ultra-reliable electronic ignition simplifies maintenance. 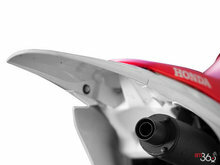 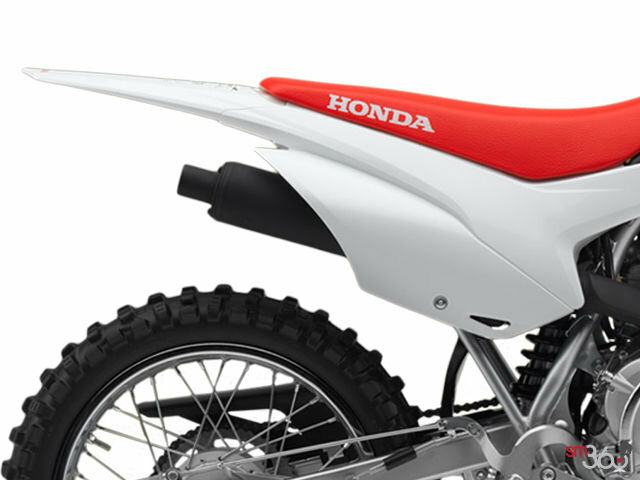 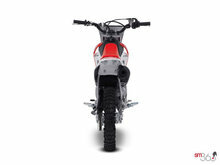 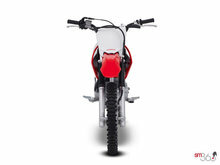 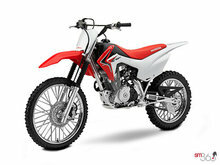 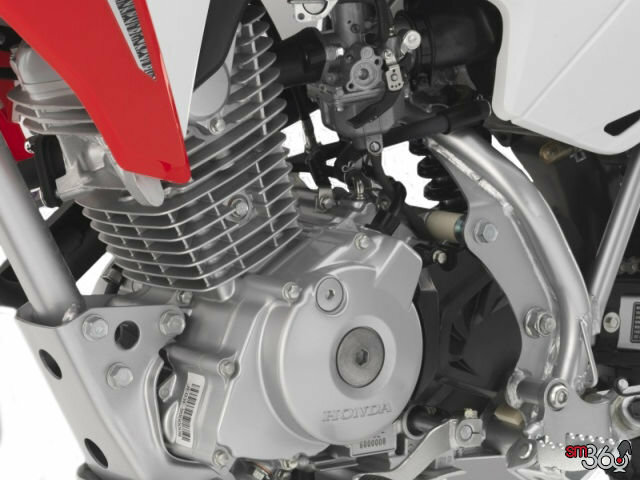 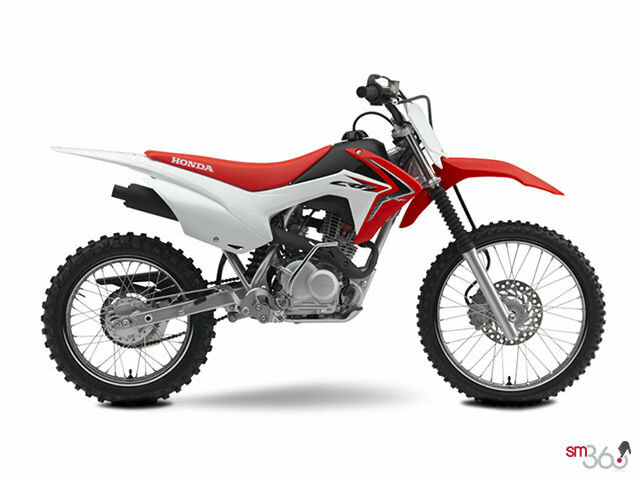 Lightweight, upswept, competition-type exhaust system utilizes a quiet muffler/spark arrester. 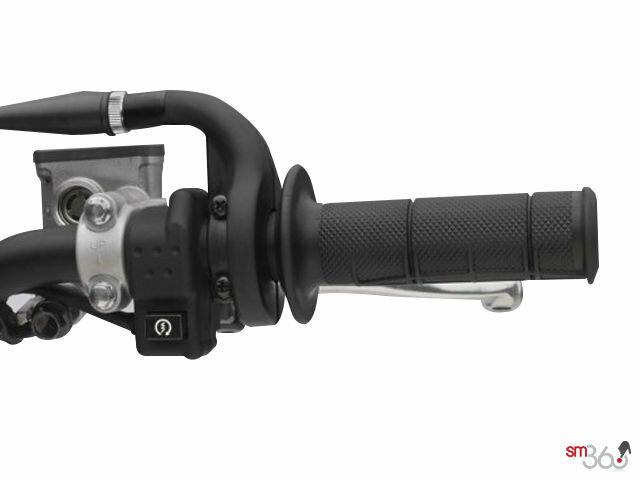 Heavy-duty manual clutch with light, smooth, progressive engagement. 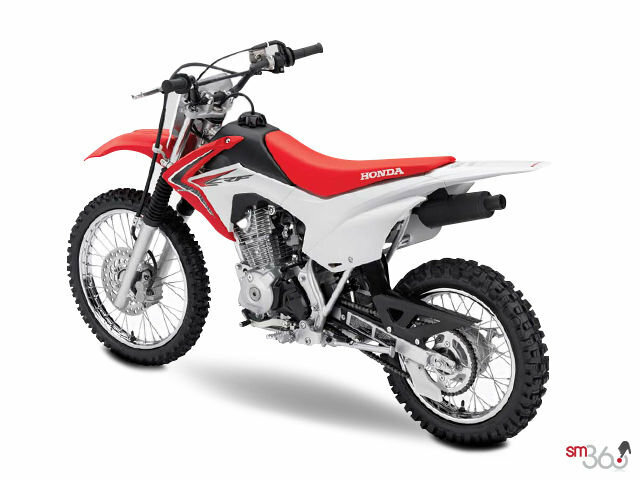 Convenient electric starter makes starting a breeze. 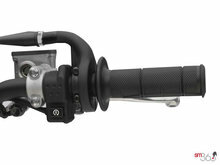 20 mm carb with light throttle action. 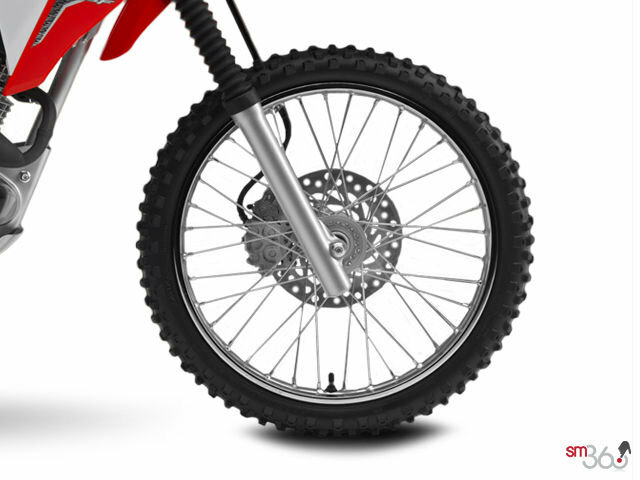 Primary kickstarting for easy starts in any gear. 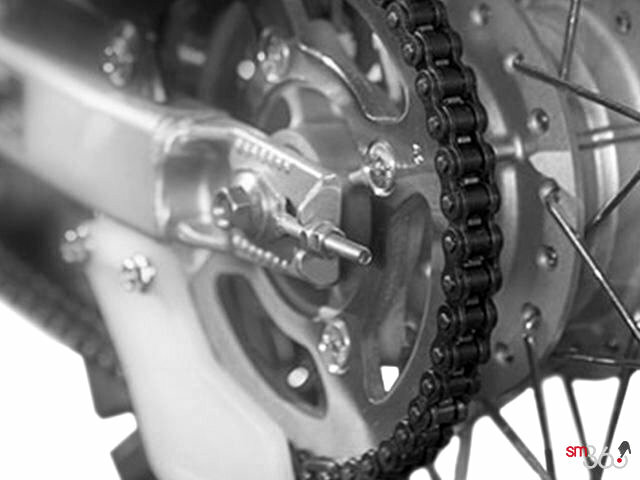 Lightweight, screw-type drive chain adjusters simplify maintenance. 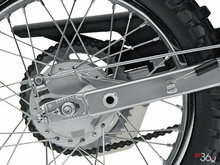 31 mm leading-axle front fork offers 150 mm (5.9 in.) 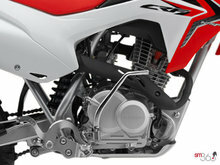 of compliant suspension travel. Durable, simple, low-maintenance, 124.9 cc air-cooled single-cylinder 4-stroke engine develops the smooth, tractable power that's ideal for beginners. Pro-Link, single-shock rear suspension with box-section swingarm offers 150 mm (5.9 in.) 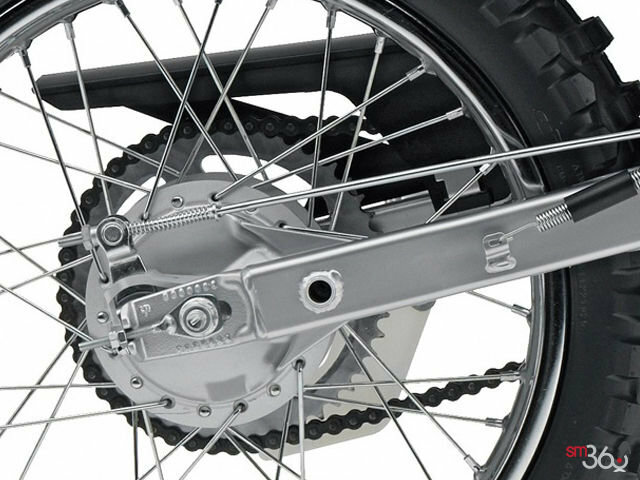 of wheel travel. Knobby tires fitted to 19-inch front and 16-inch rear rims offer excellent grip and long life. 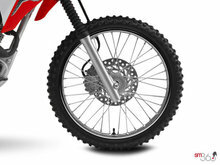 Powerful front disc and lightweight rear drum brakes are easy to modulate. 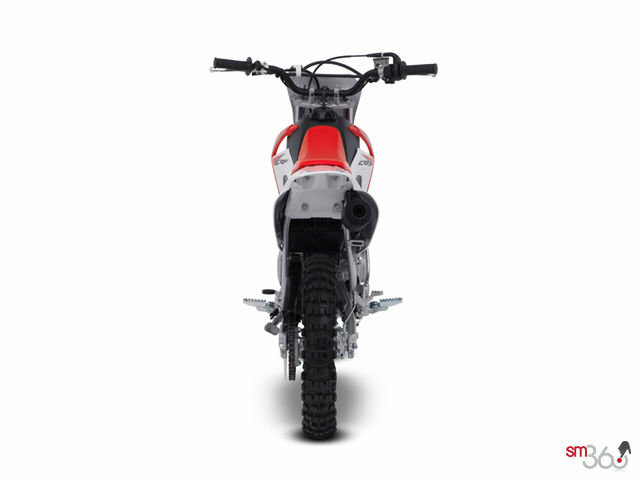 Lightweight, high-tensile steel frame is ridgid, durable and offers ideal geometry for recreational off-road riding. 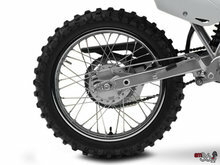 Generous ground clearance and rugged skidplate for undercarriage protection. 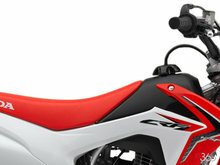 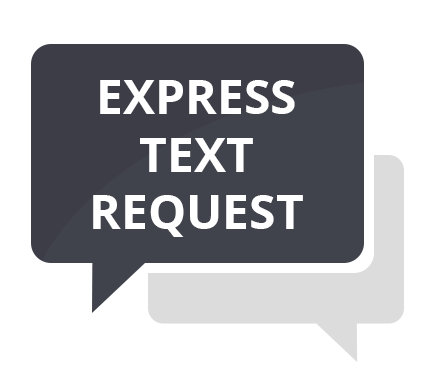 High-quality controls feature comfortable grips, and adjustable front brake lever. 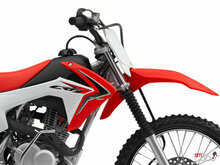 Large-capacity fuel tank and thrifty 4-stroke engine for extended range.